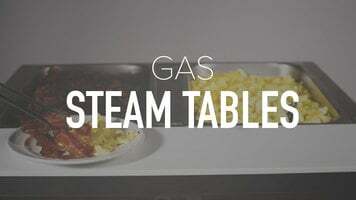 The Advance Tabco HF-2G gas powered 2 well hot food table is designed to keep your food hot and ready to serve for the entirety of your meal service. Its infinite control knobs and indicator lights make it easy for you to set and adjust temperature for all of your hot dishes. 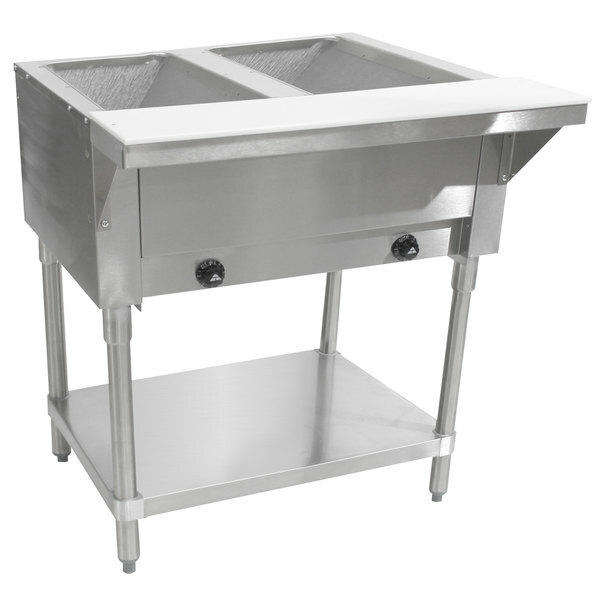 These components are also recessed to help prevent clogging and breakage from spilled food and dropped pans. For additional work space to help with prep and plating, an 8" wide, white thermoplastic cutting board is included. The board is easily removable for cleaning, and it's supported by a full length shelf, offering excellent stability. The table's galvanized steel undershelf is easy to assemble and adjust as needed. 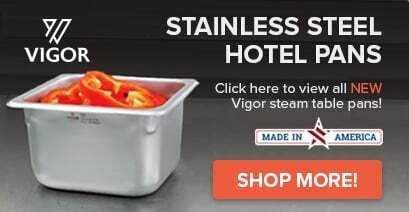 It's a great place to store extra pots, pans, and plates! The body and top are made of durable, easy-to-clean stainless steel for long lasting performance, while the legs are made of galvanized steel with adjustable plastic bullet feet. This table features 3500 BTUs per burner, fiberglass insulation between each compartment, and single phase wiring. It is designed for either dry or wet heat holding. For wet heating, add a spillage pan with 1-2" of water. 1/2" female NPT connector to regulator included. Left to Right: 31 13/16"
Front to Back: 22 5/8"
This 2 compartment steam table was installed in our food truck and works great! We like the open well. Keeps food at the temps required.